A bullet journal is key to having an organized life. You can track so many aspects of your life including your budget, habits, to-do lists, & more. 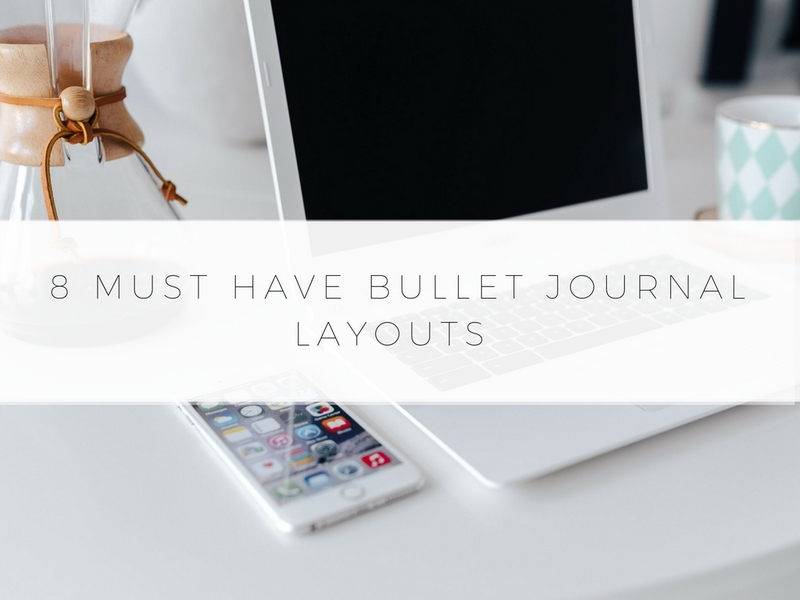 Keep reading to learn 8 must-have bullet journal layouts to take your bullet journal to the next level. Our habits are such an important part of our life. If you have healthy habits, then you will have a healthy life. If you have a bad habit, then the only way to get rid of that habit is to replace it with a good habit. A habit tracker allows you to keep track of your habits. Make a list of all of the habits that you would like to implement into your life & then list the days of the month. At the end of the day, you can check off if you did that habit during the day. This is a great way to keep track of your progress. They say it takes 30 days for a habit to stick. If you use your habit tracker, you can keep track of your habits & work on creating healthy habits. Your bullet journal is also a great way to keep track of your spending habits. In my bullet journal, I like to keep a list of the things that I purchased during the month. During your first month, write down what you purchased & then the amount. At the end of the month, total how much you spent on food, clothes, misc. items, etc. After taking a look at what you’ve purchased, reflect on if the things that you purchased were really necessary. Then you can create a budget for the upcoming month. 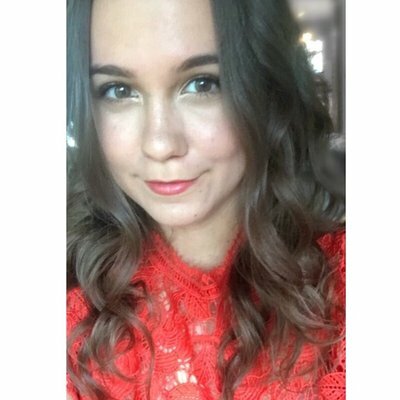 Write down what you would like to spend on food, fun, etc. Then in the upcoming weeks, keep track of how much you’ve spent on each category. If you’re half way through the month & you’ve spent more than half my budget on the category, then you should pull back. Bonus tip: try to have “no spend” days where the goal is to spend no money. If you are looking to save money, then I highly recommend having a budget tracker in your bullet journal. Another thing you can keep track of in your bullet journal is your mood. Write down a list of the days of the month, & then write a smiley in a different color depending on how you are feeling. If you are happy, then write down a red smiley. If you are sad that day, then write a frowning smiley in the blue. At the end of the month, it’s the perfect way to look back & see your mood last month. If you see you were sad most of the month, then it’s time to take the steps to work on your happiness. Your bullet journal is the perfect place to write down your goals & keep track of how you are progressing towards your goals. Write down what you would like to achieve during the week. Then, look at the list of goals every single day & at the end of the week, reflect on how you progressed towards your goals. If you didn’t achieve a certain goal or you want to keep working towards a goal, then carry your weekly goal over to the next week. If you are not a blogger, then you can skip over this section, but if you are a blogger, then keep reading. One of the most exciting things about being a blogger is seeing your growth. Well, your bullet journal is a great way to track your growth. At the beginning of the month, write down your social media followers, the amount of users on your email list, & last month’s monthly views. You can either write down every single week your followers, email list users, etc or you can write down your progress at the end of the month. It is always very exciting to look back & see how much you’ve grown in the past month. I’m sure you’ve heard this before, but water is SO important. Most of us do not drink enough water every single day. At the end of the day or throughout the day, check off how many glasses of water that you’ve drank. You can reflect on your day at the end of the day & make an effort to drink more water at the end of the day. Bonus tip: brainstorm how much water you would like to drink every single day (for example: six glasses) & then draw that amount of water droplets next to your daily bullet journal spread. At the end of the day, you can draw in those water droplets & it can keep you accountable with drinking enough water. Your bullet journal is also a great place to plan your meals throughout the week. You can also take it a step further & make a list of the ingredients you need for those meals. Take a look in your kitchen, see what ingredients you need, & then write a list in your bullet journal of what you need as well. If there are specific self-care activities that you enjoy such as bubble baths or face-masks, you can keep track of if you’ve completed these self-care activities in a self-care tracker. Make a list of all of the self-care activities that you would like to do daily, weekly & monthly. Then, check off if you did each task. This is another great way to hold yourself accountable for your self-care. You can’t pour out of an empty cup. It is so important to take care of yourself. A bullet journal is a great way to organize your life. I hope you enjoyed the 8 must have sections in your bullet journal. Leave a comment below with your favorite section of your bullet journal! 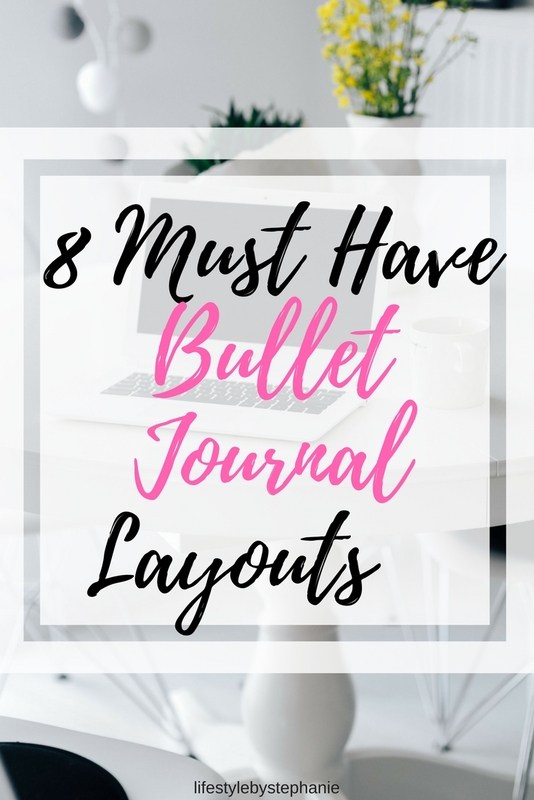 Hi, Stephanie, I love this post especially because I’m a lover of bullet journal, they are just too cute and I use it mostly to track my mood, blog stats and my self care progressive. It’s so motivating. Thank you for reminding me of the benefits of bullets journal. This is perfect as I plan to get back into bullet journalling and this is giving me some inspiration! My daughter and I just started bullet journaling recently and love it. Thanks for the ideas!